On this episode we discuss the new details of Hagrid’s Magical Creatures Motorbike Adventure, Seth brings us Little Things. 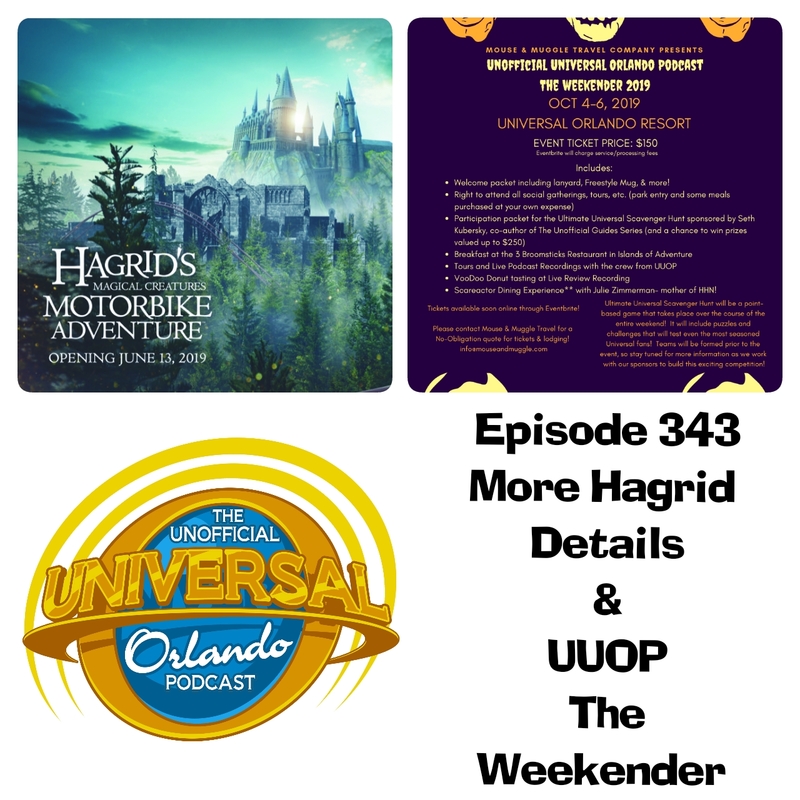 We then bring you all the details of UUOP The Weekender and Alicia brings us another Rumor Mill. Check out all we have to offer. The Unofficial Universal Orlando Podcast. Apple Podcasts: We would really appreciate it if you would head over to Apple Podcasts, subscribe to the show and leave us a review. Even if you don’t use Apple, it will really help us build up the awareness of the podcast. LIBSYN: Listen and Subscribe at Uuopodcast.libsyn.com. STITCHER: Listen on Stitcher Radio, please leave us a review there too. Don’t forget, if you’re booking a trip to Orlando to give our friends at Mouse & Muggle a try. Planning your next trip to Universal Orlando or a Disney destination? Whether you’re a mouse or a Muggle, Mouse & Muggle Travel Company can help make your next vacation simply magical! And their services are FREE to you! Just go to mouseandmuggle.com and fill out a no-obligation quote request to get started. FACEBOOK: Like our Facebook page and join the conversation. INSTAGRAM : Photos from around the Universal Orlando Resort . TWITTER: Follow us on Twitter and leave a comment. PINTEREST: 25 boards and hundreds of pins are available for you to follow including Minions, books, food, and Harry Potter! BLOG; Don’t forget to subscribe to our blog to receive every new post as it is released. You can subscribe be email or RSS feed to paste into your news reader.